I just received an email announcing that GolfSmith in Novi, Michigan is closing. 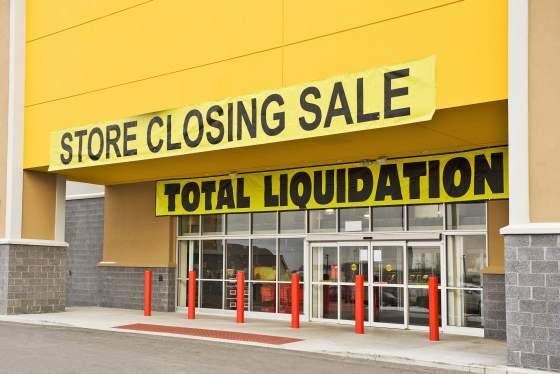 The remaining Michigan stores — in Troy and Clinton Township — will remain open as of this writing. Novi was my closest GolfSmith location, but still was not really “local.” From GolfBlogger World Headquarters, it is about a thirty mile drive. The very well-stocked Miles of Golf is only a block away; the similarly nice Carl’s GolfLand is twenty miles away, but not too far from my day job. Some years ago, the Novi store was located eight miles to the southeast, in Northville. That store was smaller and had a much more friendly vibe. I wondered at the time how it would survive in its new, cavernous building. The Novi GolfSmith always looked as though it was largely empty, although I am sure it had the same — if not more stock. It also was located at the back of an enormous complex of strip malls. If you did not know it was there, you would miss it. The previous location could be spied from the main roads. Another interesting aspect of that store was its large stock of used clubs. The used clubs were, however, priced significantly higher than similar clubs at places like Play It Again Sports. That really did not work in their favor. A player bargain shopping for used clubs will go with the absolute cheapest price. There’s no advantage to buying used at GolfSmith for thirty percent more. I will at this point repeat my assertion that GolfSmith’s troubles are not a reflection on the sport of golf. Read my complete thoughts on this at the previous link.